Okay, I know, it’s not Wednesday. Well not when I’m writing this anyway. Maybe you’re reading it on a Wednesday though, that’s a possibility. In which case well done – great timing. The alliteration isn’t key though, it’s just one way to remind yourself of the importance of HYDRATION. Now I don’t want to get all ‘lecturey parent’ on you, but come on, when was the last time you properly drank enough? I mean like not tea and coffee or fizzy drinks, just actual water, all through the day? I see you there, looking sheepish. I’m just as guilty. I do drink a lot, but I drink my fair share of caffeine filled tea and coffee too, and squashes, smoothies and fizzy drinks all full or sugar or artificial sweeteners. Now I’m not saying these things don’t contribute towards hydration, but it would be much better for me if at least some of the time I cut out all the additives and just drank water. So. What to do about it? Like most things it’s really just a matter of forming new habits. Once you do anything often enough it can become routine, it’s just finding the things that will help you to form the habits in the first place. One of the easiest ways to commit yourself to doing something is to say it out loud, or at least write it out loud on the internet. The very act of telling someone that you intend to do something makes it far more likely to happen, not least because of the guilt attached to not coming good on your word. That’s the logic behind Aqua Optima’s #WaterWednesday campaign. Take the pledge, tell your friends and then share your thoughts and pictures online using the hashtag #WaterWednesday and you’re instantly making yourself more accountable. There are masses of different water tracking apps around, so read a few reviews and pick out one that suits you. I like the look of My Water Balance as not only does it sync with your Fitbit and Apple Health but you can also link up with friends and see how much you’re drinking compared to other people. This is great because it taps into the accountability angle and also adds a competitive element. If you’re worried that you’ll get a bit bored of plain old water, (first world problems), then try adding flavour in the form of fresh fruit. Reduce waste by freezing slices of lemon, lime or orange or handfuls of berries in advance, and then just popping them into your drinks like ice cubes. We were sent a water jug and filter from Aqua Optima to help us to drink more water and it has definitely helped Belle. I fill it up in the morning and put it in the door of the fridge and it means she can help herself during the day and see exactly how much she has drunk. Belle is very particular about some things and she especially likes things that have a special purpose, that she can measure and keep track of, so this suits her very well. Using an Aqua Optima water filter has the added benefit of less chlorine and water hardness, making drinks taste better, and significantly reducing the amount of unwanted substances found in tap water, like limescale, heavy metals, herbicides and pesticides. 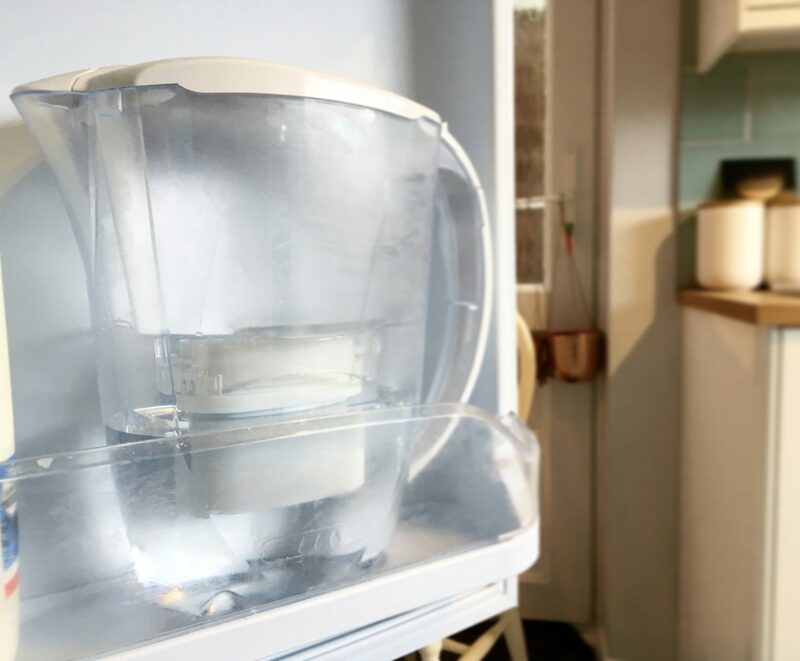 The filter was very easy to set up and I particularly like the sliding grid in the lid which means you can fill it up without having to take the lid on and off. Start making an effort to always have a drink of water at a particular time, like just before a meal or after going to the toilet. If you stick at it you’ll form a habit in no time and find yourself thinking of having a drink at lots more times throughout the day. While you wait for the kettle to boil is a good one as you’re already standing near the tap! 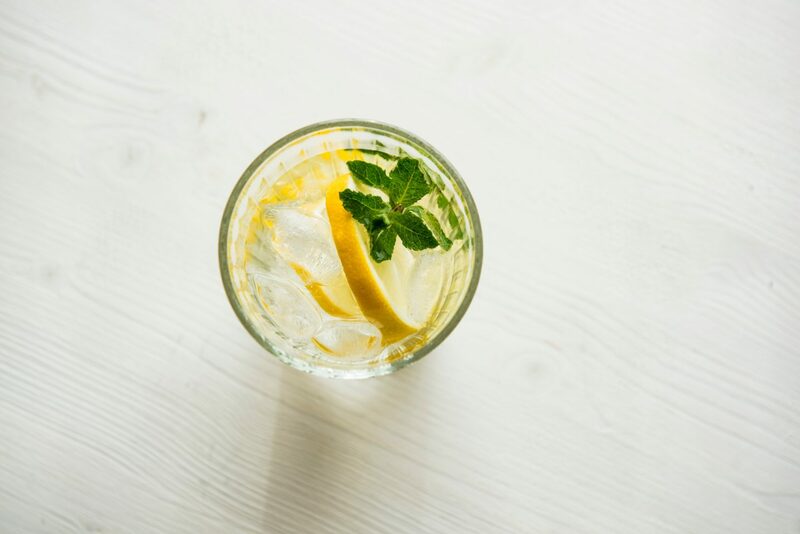 One of the main reasons a lot of us don’t drink enough water is pure convenience – maybe you’re out and about or in the car or on the train and you just don’t have any water with you. Get into the habit of refilling a water bottle for your bag every morning and you’re more likely to hit your daily hydration targets. Refill it as soon as you finish – you’re much more likely to see the full glass and be reminded to drink it, even if not right away. An empty glass requires much more effort! So those are my tips – what do you do to make sure you drink enough water? Take the Water Wednesday pledge now. I always have a full glass beside me and always carry a water bottle. I am really good at drinking enough now because I have to for medical reasons! But then I don’t find it nearly as difficult as some because even as a child I was strange and always liked water (I never used to drink ENOUGH but when I did drink it was often water!). Never liked anything carbonated, and that’s something that’s always stayed with me. Didn’t drink tea until my late 20s and even now don’t like coffee (love the flavour, one of my favourites for cake, chocolates..etc but hate the drink!). Around the age of 30 I grew into liking hot water which is great because I don’t drink nearly as much tea!